The Health and Medical field is expanding at an exponential rate. People are struggling to find adequate healthcare coverage, even in developed countries like the U.S. As this basic need continues to grow, health and wellness nonprofits are springing up across the globe. From green-energy gyms for low-income areas to researching obscure diseases, nonprofits many find financial support from a variety of funding sources! Health and wellness and sports nonprofits have to meet such a diverse spectrum of needs that it behooves your nonprofit to apply for money in a variety of ways. One of the best ways to raise money and awareness for your organization is to crowdfund. By crowdfunding, your group may reach a large number of new supporters that can equip you with the necessary capital to accomplish the goals of your campaign. 2. Setup Your Account and Profile. 3. Enter your Crowdfunding Campaign Details. 4. Connect Your Campaign to Your Social Media (to promote) and Stripe Account (to receive funds). 5. Begin Promoting and Fundraising Your Campaign! The Free Fitness Foundation, based in Pomona, California, recently launched their campaign on UHelp. Their organization aims to aid the introduction and development of Free Fitness in churches, schools, businesses and parks with Free Energy Gyms. Their nonprofit is one of many that is crowdfunding their goals with the help of individual donors around the world. Now that you know how to fund your nonprofit on GrantWatch.com, and begin your crowdfunding campaign on UHelp.com, you need to know how to manage your finances successfully! 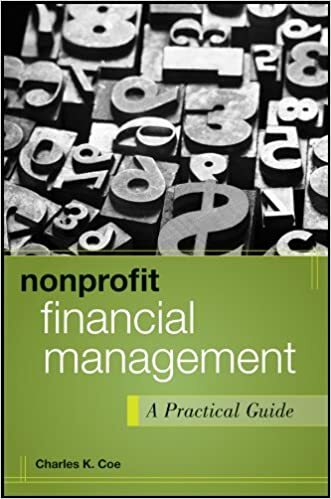 Nonprofit Financial Management: A Practical Guide, by Charles K. Coe, provides helpful tips that cover the entire spectrum of finances, from budgeting, purchasing, and contracting, to IRS forms, cash management, and basic accounting. This book is an essential guide to correctly manage your finances. Because you worked hard to qualify for money, you need to work hard to protect it. Make finding grants for your health nonprofit easy! Subscribe to GrantWatch.com today to find hundreds of new grants for your nonprofit every week. Synergize your fundraising efforts with a crowdfunding campaign! Tap into millions of potential donors by promoting your nonprofit to individual donors! Call our team of nonprofit experts for more information at 561-249-4129 today! About the Author: Staff Writer for UHelp.com, with contributions from Christopher Lim and Bryant Tucker. I would like to thank you for the efforts you have put in writing this blog. I am hoping for the same high-grade blog post from you in the future, as well. In fact, your creative writing abilities have inspired me to get my own blog, now. Really, blogging is spreading its wings quickly. Your write up is a good example of it. Great post. I was checking constantly this blog and I’m inspired! Extremely useful information specifically the last part 🙂 I deal with such info a lot. I was looking for this particular information for a very long time. Thank you and best of luck. Hello there, I just became aware of your blog through Google and found that it’s really informative. I will be grateful if you continue this in the future. Lots of people will be benefited from your writing. Cheers! Saved being a favorite, I enjoy your blog site!